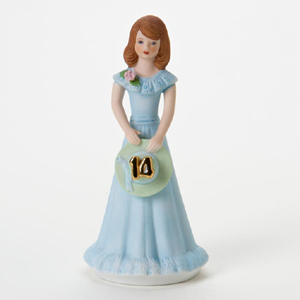 The brunette fourteen year old birthday girl figurine from Enesco is crafted of porcelain bisque. She is wearing a pretty blue dress with a pink rose at the top. From the Enesco Growing Up Girls collection. 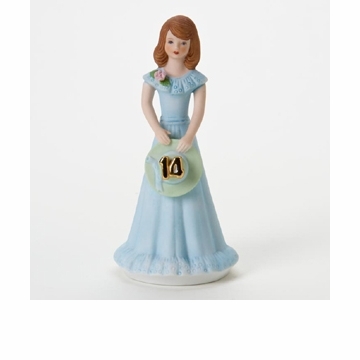 This birthday doll has brown hair, but the same figurine is also available with blonde hair. Measures 6.25 inches tall.